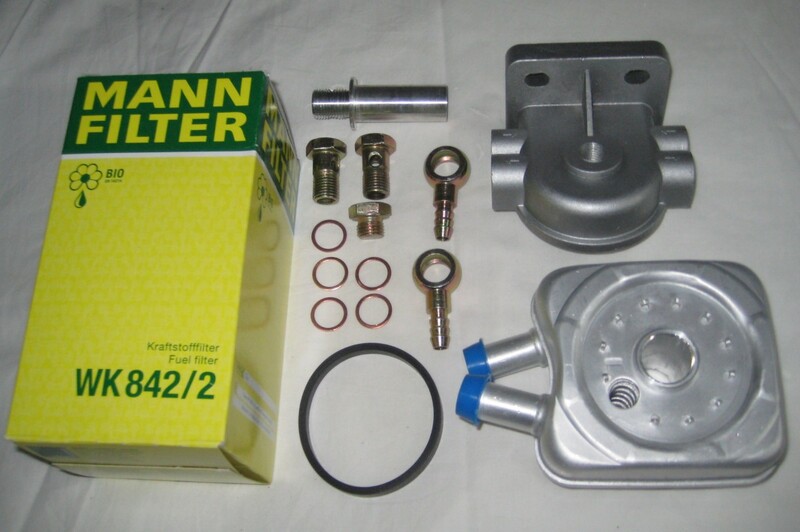 It is highly recommend to use a heated filter in vehicles which are powered by vegetable oil. By using a heated filter, you put less strain on the system as a whole and are far less likely to suffer from filter blockages and fuel starvation. By heating and thinning down the vegetable oil at the filter, the fuel will pass through the filter more easily, putting less strain on your injector pump. See filters section for more detail. It is also important to ensure that when running on used cooking oil (UCO) the fuel is well filtered before it is put in the fuel tank. Gravity filtering using sock filters provide a very time, cost and energy efficient means of filtering the raw vegoil to fuel grade. See our Simple guide for filtering used cooking oil for more details. The original and still the best. The Eckes WT style heated filter. 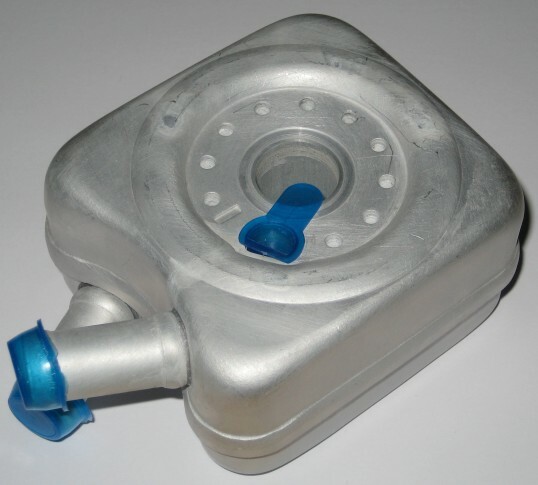 The concept was originally designed by a German vegoiler, Eckhard Wernick, who developed the idea of fitting a VW oil cooler between the filter head and a spin on filter. As a result with a brazed plate heat exchanger sandwiched between the head and the filter, this unit gets exceptionally hot, very quickly. There is no 'wax stat' or valve to reduce the coolant flow once the coolant is warm. This gets the full, unrestricted flow of piping hot coolant and transfers it to the fuel as it enters the filter. Rest assured there is no risk of the filter element breaking down under the heat with our biodiesel specification Mann filters. 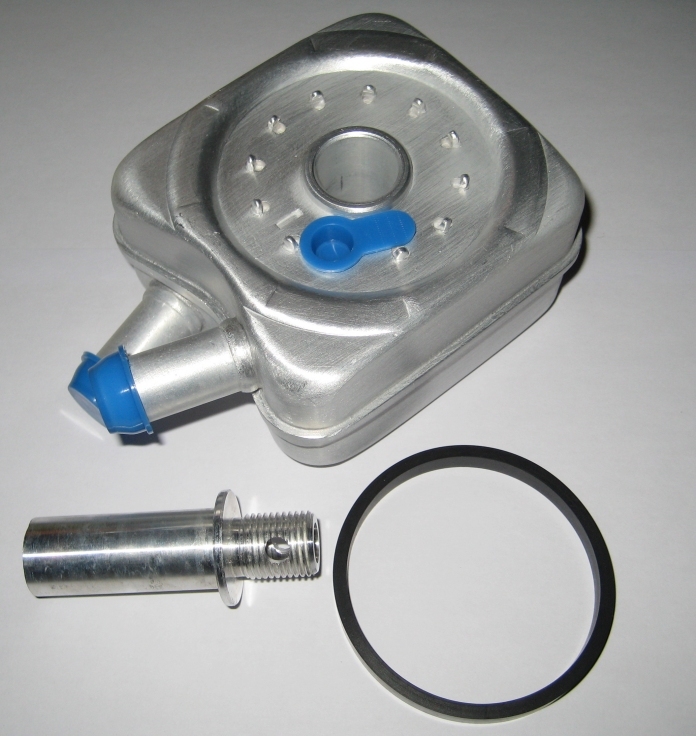 This unit can double as a looped return tee since the vegoil from the fuel tank can enter on one side and the returning fuel from the injector pump can enter on the other. An additional fuel fitting is required, available from here. 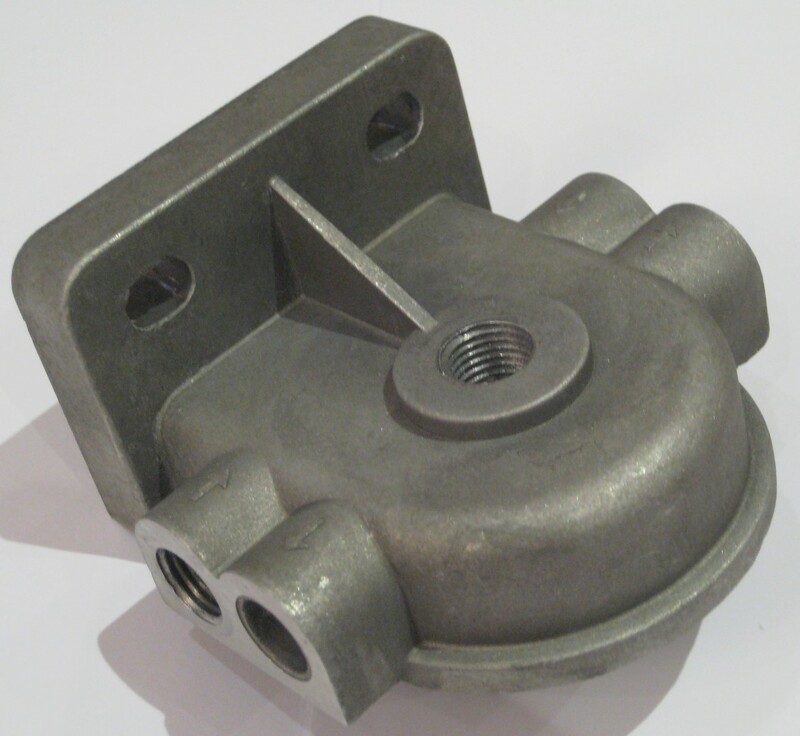 Cast aluminium bosch filter head with fuel inflow from either left or right. Ideal for adding a standard diesel filter for your second tank rather using a plastic disposable one that isn't up to the job. 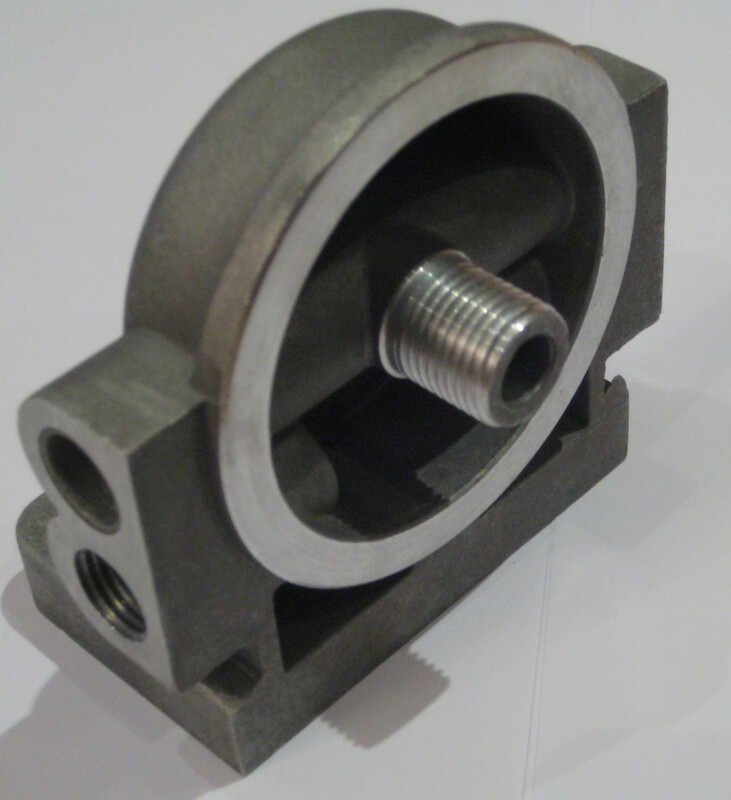 This can also be used with an eckes bolt, seal and VW oil cooler to make an Eckes style heated filter. 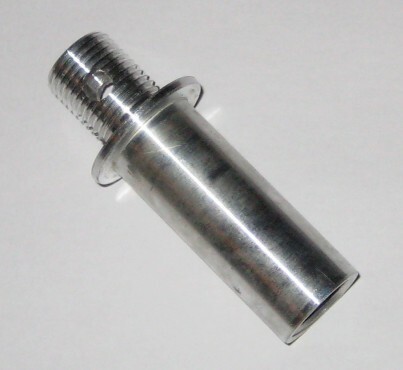 Aluminium Eckes style adapter bolt for attaching a VW oil cooler to your filter head. Easily installed by inserting a philips screwdriver through the hole and tightening up onto the filter head. 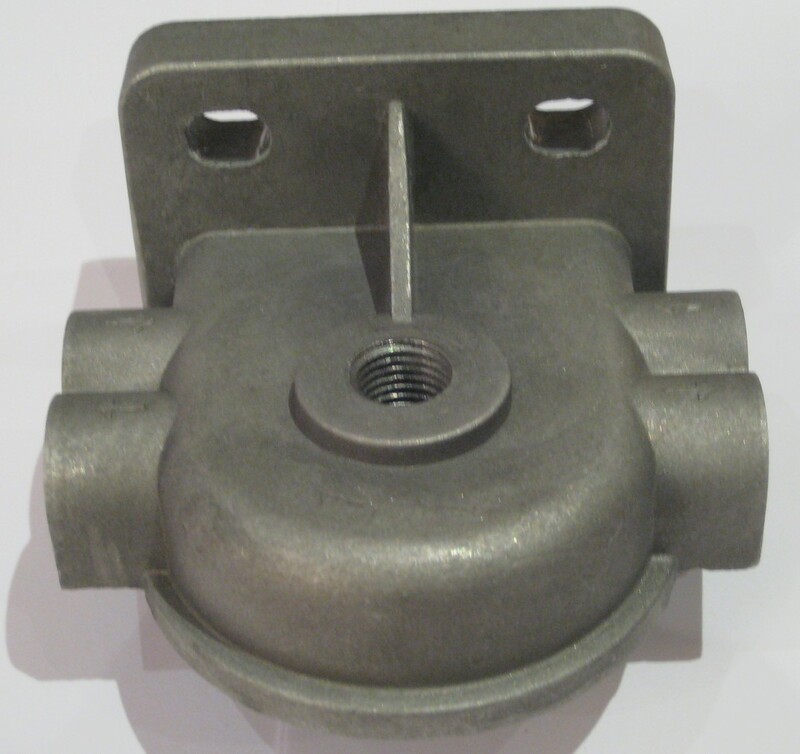 For a good secure fit, and to avoid unscrewing the heater block when changing the filter it is best to use a medium threadlock when fitting the adapter bolt to the filter head. Powerful aluminium brazed plate heat exchanger for heating your filter via the use of an adapter bolt. see here for a list of vehicles that should be compatible with this kit. 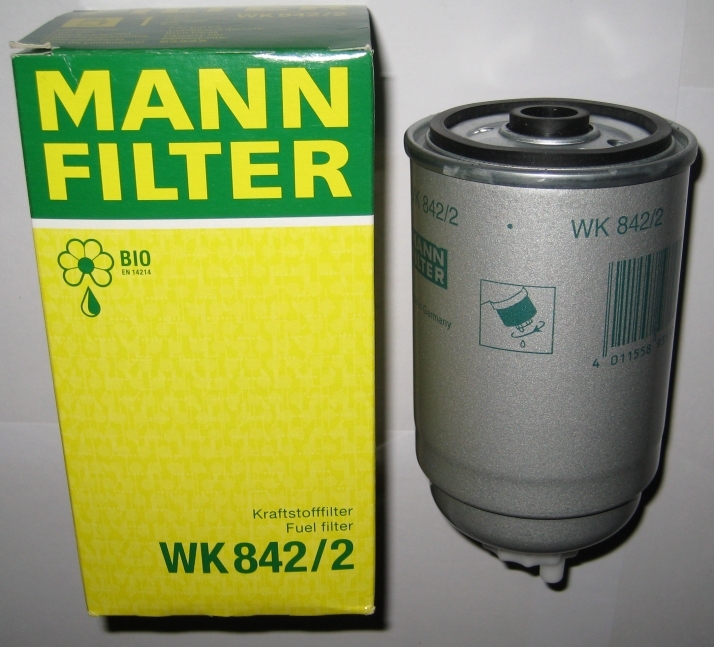 Standard diesel filter for many vehicles including VW group and Land Rover. See here for vehicle compatibility list. Very thick section of lagging to keep the heat in and the cold out of your filter. Fits both the heated filter and the universal filter. 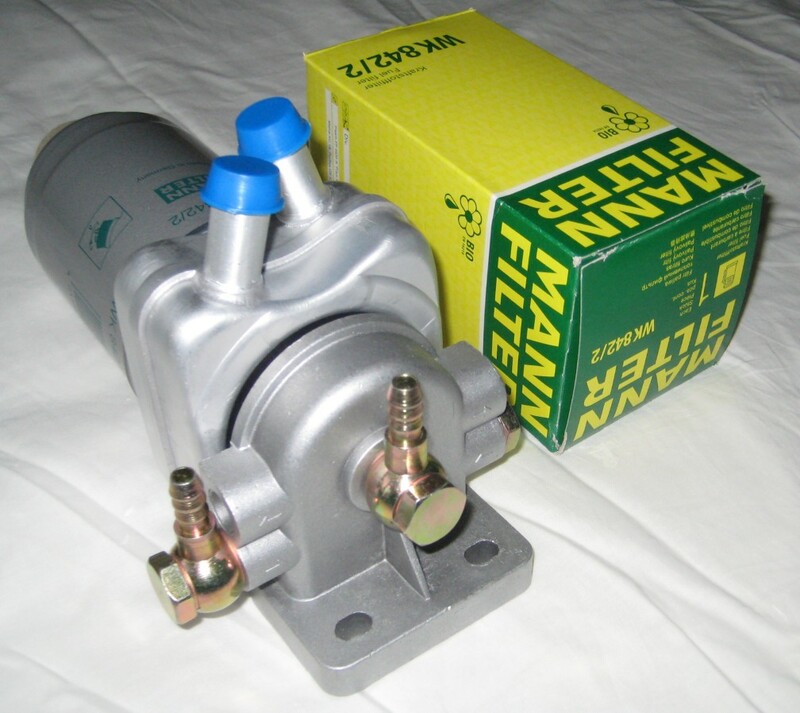 Fittings for either our heated filter (HF05) or Bosch universal filter head (BFH2). These fittings also fit our HE4 heat exchanger and Pevekoil M14 valves. 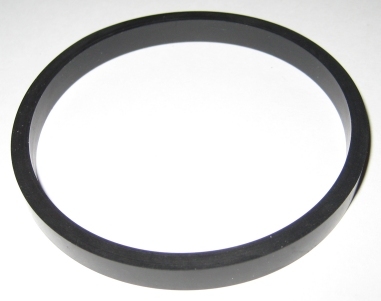 Soft, copper washer for seals between filter heads and filter fittings.